With industry needs rapidly changing due to advancing technology, a host of online courses, both globally and locally designed, have sprung up to help professionals upgrade their skills. 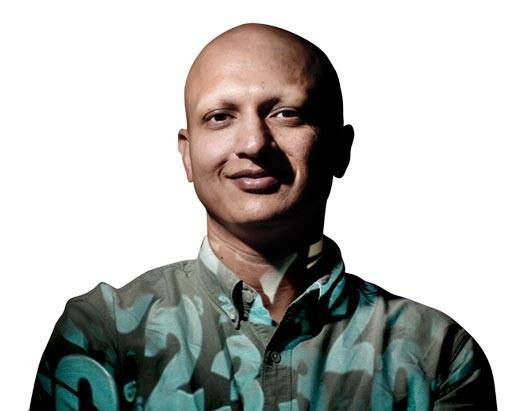 "Online learning is about lifelong learning," says Ishan Gupta, Managing Director, Udacity, India. What he means is that the speed of change in the IT industry - and its ripple effect across other industries - requires professionals today to keep upgrading their knowledge and skills throughout their working lives. Those who stop doing so, cease to acquire further qualifications at the right time, risk redundancy, as the current paradox in the IT industry clearly shows - even as experts in Data Analytics, Machine Learning, Deep Learning, Blockchain and more are in desperate demand, large numbers of people are being laid off. The farsighted ones are heavily into undergoing retraining. And the bulk of such retraining is being imparted, not in brick-and-mortar classrooms, but through online courses, which began in the US in the mid-2000s, and have since spread across the world. In India, the opportunity for re-skilling employees stood at around $93 million in 2016, and is expected to grow to $463 million by 2021, according to a report by KPMG India. Not surprisingly, a large number of courses, ranging from massive open online courses (MOOCs), which are mostly free and initiated by universities or governments, to highly focussed niche ones which charge substantially, have sprung up to address this market, both from overseas and within India. Prominent among the former is Udacity, a teaching site headquartered in Stanford, US, and founded by Sebastian Thrun, an authority on Artificial Intelligence, in 2012. From 2015, Udacity has been rolling out short-learning modules - concise enough to be studied alongside professional commitments - which provide "nano-degrees" on completion. Nine separate streams in computer sciences are offered, with the course content created and certified by industry experts, so that even though the content has to be paid for and jobs are not guaranteed, getting a better one after completing any of the verticals is almost a certainty. In four rounds of investment, Udacity has raised $160 million. For those who find its fees steep, Udacity has partnered with Germany-headquartered media giant Bertelsmann to offer global scholarships. Exclusively for India, it also offers scholarships in a tie-up with Google, for courses in Artificial Intelligence, Data Analytics, and more. It has joined hands with Infosys to train 500 of its engineers in Self-driven Auto Engineering; with the Telecom Sector Skill Council - a collaborative non-profit set up by the India's telecom sector - to teach sector employees about the latest advances in the field; and with the Andhra Pradesh State Skill Development Corporation to provide nano-degrees in Android development, machine learning, front-end web development, introduction to programming, and full stack web development. Much bigger than Udacity, and also originating in Stanford, is Coursera, whose courses are largely offered free. It was begun by Stanford University professors Andrew Ng and Daphne Koller, with the support of 200 of the university's partners in 2012, and has a staggering array of 2,400 'active' courses from music to philosophy and everything in between, along with 236 'certification' courses, and four 'degree' ones. It has 30 million registered users, of which 2.8 million are from India. Like Udacity's, its syllabi have been designed by the best - the one on financial markets, for instance, was prepared by Robert Schiller, a Nobel laureate in Economics, teaching at Yale University. Ng himself, an expert on artificial intelligence like Thrun, created the course on Deep Learning. A Coursera certification is a badge of honour in the concerned field. "We have the largest number of certifications on LinkedIn," says Raghav Gupta, Director-India and APAC, Coursera. Coursera has received venture capital funding of $210 million across seven rounds. But if the courses are free, where does revenue come from? Coursera also has a paid service, where it designs courses according to the requirements of paying companies which want to upgrade employee skills. Such courses, which usually last less than 12 weeks, include certification if successfully completed. In India, Coursera has created customised courses for companies such as Infosys, Axis Bank, Tata Communications, Airtel and AXA. It also offers postgraduate courses, which can be completed in one to three years, in Business Administration, Data Sciences and Accounting - where the Masters' degree is provided by the University of Illinois, and one in Entrepreneurship and Innovation, given by HEC, Paris. Though priced at $75,000, these postgraduate programmes cost much less than a comparable full time residential one in the US would. Similar courses run by Indians have proliferated too, the most respected among them perhaps being Simplilearn, which has students across 150 countries, including the US, the UK, Australia and West Asia. Set up by Krishna Kumar, a former software engineer with Infosys, in September 2009 - initially as an advisory blog, sharing ideas on project management - it tentatively began offering courses in April 2010. Today, it provides over 400 certification courses across 12 IT segments, including Deep Learning, Machine Learning and Blockchain, plus a Masters' programme, and has certified more than 500,000. Based both in Bangalore and San Francisco, Simplilearn has received $28 million across three tranches of funding. Like all such courses, its curriculum has been designed by stalwarts in the IT industry - the Machine Learning course, for instance, was set by Mike Tamir, Head of Data Sciences at Uber and lecturer at University of California, Berkeley. A number of companies have been directing aspiring candidates to complete the last semester of their specialisation from Simplilearn and obtain its certification at company cost - which has opened up a new revenue stream for it. Since the courses are approved by the companies concerned, it saves them the bother of training newcomers for their jobs. Some universities have also been encouraging students to do a course with Simplilearn instead of an internship. 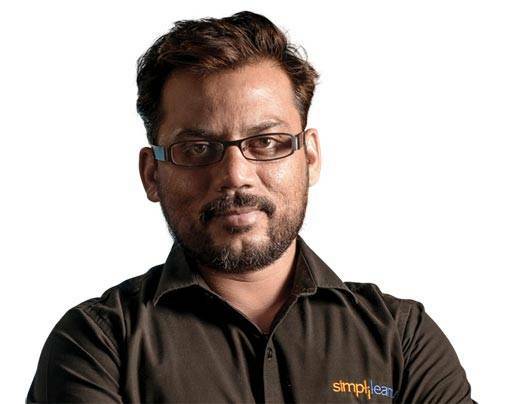 "Our course completion rate is 72 per cent," says Simplilearn CEO Kumar. "We handhold and motivate our students by multiple means. They are also encouraged by the success stories of those who finished." For many others, however, student retention is a problem, even though most do not set any time limit for the completion of their courses. Coursera, in particular, has been criticised for having too many courses, but very few actually completing them. 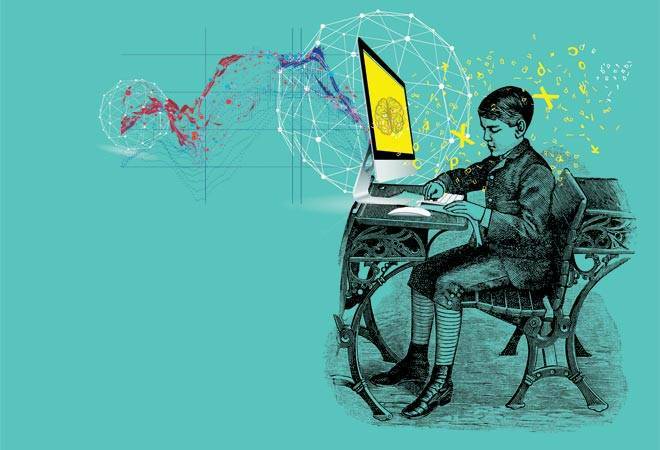 Thus most tele-teaching institutes have been using analytics - applying it to the data they gather on students enrolling and constantly - sometimes as often as every three months - modifying their methods to improve retention levels. Bangalore-based Edureka, for instance, has found that devising 'milestones' on the way to completing its courses, helps to sustain student interest. It has 10 such milestones, with each successive one taking the student closer to her goal. It also encourages group projects, quizzes, frequent tests and more, so that the knowledge imbibed is sufficiently internalised. "We also offer support 24x7, which encourages students to stay engaged," says Loveleen Bhatia, CEO, Edureka. 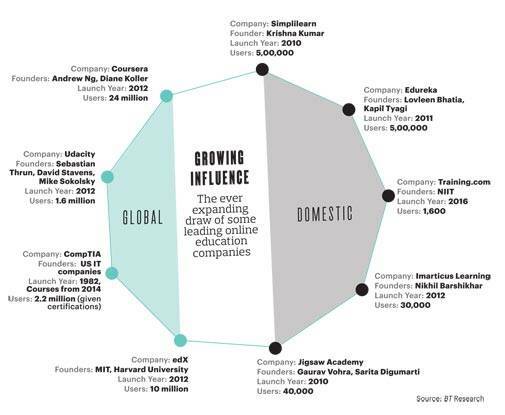 Set up by Bhatia with Co-founder Kapil Tyagi, Edureka has trained 500,000 students in the last three years. Some education tech companies combine offline classroom teaching, too, with online. Bangalore-based Jigsaw Academy, for example, conducts the bulk of its courses through online videos and live online sessions, but it also has classroom sessions, once every two months per course, on weekends. It has partnered with the SDA Bocconi School of Management in Milan, Italy, and has expert instructors flying in to teach on these weekends. Similarly, Training.com, a subsidiary of NIIT Limited, supplements its short online courses for employees of client companies with training sessions at the company premises. "Some companies set aside one full day for us to train a large number of people together, while others give us a timeframe within which to hold such sessions in batches," says Prakash Menon, President, Global Retail Business, NIIT Limited. It also has its own centres where students from client companies can attend sessions to pick up tips on online learning, thus meshing online with offline for six digital programmes, seven executive education programmes and 64 technology programmes. "Anyone can make an online offering, but the key to its success is getting students to engage and learn," Menon adds. Separately, Training.com has also allied with another MOOC provider, edX, which offers free courses from the Massachusetts Institute of Technology (MIT) and 52 other schools, including IIT Mumbai. It has roped in IIM Calcutta, too, for big-ticket management courses. Among such hybrid courses, perhaps the most relevant globally for IT employees are those designed by the Computing Technology Industry Association (CompTIA), an alliance of the US's IT industry. Of the 15 courses designed so far, two - on Infrastructure and Cyber Security - are available at select Indian universities as well since 2011. While much of the training is online, CompTIA ties up with brick-and-mortar universities to make them part of the curriculum, thus enabling the latter to keep their syllabi perennially relevant. "The rate of obsolescence in the IT industry is very high," says Pradipto Chakrabarty, Regional Director, CompTIA India. "With our courses, trainers are retrained at specific intervals, while the entire course is updated every three years." In all, the association has 15 courses, which are open source and software agnostic; in each country, it locates local partners who impart the offline instruction. Many consider a CompTIA certification more useful than say, those from Microsoft or Cisco, which comparatively limits their options. Specialisation among tele-courses is also growing. Mumbai-based Imarticus Learning, for instance, focusses only on 'bridge courses' in financial analytics, with three to six month courses which cover the gap between the curriculum in traditional institutes and what companies need. It has both offline and online courses, with the former usually preferred by fresh graduates, who seem to need the physical presence of instructors to understand new, complex concepts. About 70 per cent of content in both kinds of courses is common, the rest being modified as per demand. "We identify 10 goals every year and then focus of reaching them," says Nikhil Barshikhar, Managing Director, Imarticus. "Both the National Stock Exchange and the National Skill Development Council have partnered with us." While 80 per cent of its students are local, the rest are based in West Asia. Indeed, online courses have become so many and so popular that Harman Singh, a computer science postgraduate from North Carolina State University, saw a business opportunity in setting up their infrastructure. WiziQ, which he founded in 2007, creates the software for online instruction - a virtual classroom built to client specifications, providing the delivery options, the content options, the device options and the logging-in capacity - depending on the number of students expected at a given time - the client wants. "The engineering, manoeuvrability and cost are all controlled by us," says Singh. "The technology is affordable." The Human Resource Development Ministry's Swayam initiative - an Indian version of MOOC - was designed and implemented by WiziQ along with Microsoft. In contrast, Udemy, founded by Gagan Biyani, Eren Bali and Oktay Caglar - based in San Fransisco, has built a single platform which allows multiple instructors to use for a modest fee. It has 55,000 courses spanning both the sciences and the humanities; anyone wishing to teach online can design a course - either free or priced - and upload it.